Yorkshire, NY (October 13, 2018) – In Yorkshire, a two-vehicle accident was reported on Thursday, October 11 around 7:45 p.m. One person was injured in the accident, according to police. The accident took place on State Highway 39. At this time, police are not entirely sure why the accident took place, but they believe that it happened at the intersection with Church Street. The two drivers involved in the accident were identified as 25-year-old Chelsea Withey and 60-year-old Elmer Hopper. They were the only two people involved in the accident and one of the parties was injured, according to police. Car accidents happen every day on New York roads, bringing serious injuries and even fatal results to those involved. We wish to extend our condolences to the parties who were involved in this accident, as we were extremely saddened to hear that it took place. 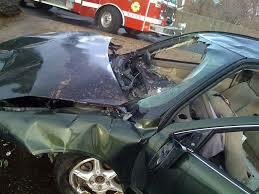 Many car accidents end in serious results to those involved. This is why our New York accident attorneys believe that all drivers should always obey the rules of the road, which means never engaging in negligent actions like drunk driving, distracted driving, speeding, and more. As members of the community, we understand that every driver must be attentive and watch out for other drivers on the roadways, especially at intersections where accidents are prone to happening at any given time. At Hach & Rose, we want you to know that we want to protect your rights and we are fully committed to taking on your case and fighting on your behalf during this difficult time. If you have been injured in a New York car accident, do not hesitate to call us at 212-779-0057. We want to use our experience to help you receive the results you deserve at this time.